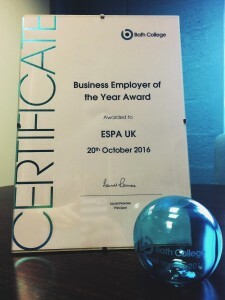 ESPA is proud to announce that we have been awarded “Best Employer of the Year 2016” by Bath College. In our efforts to enable free access to high quality internships in the UK and Ireland, we try continuously to offer the same kind of high quality opportunities within our company. ‘We were so thrilled to receive this award because our staff is at the heart of everything we do. We work very hard to look after everyone as an individual and value their goals and achievements. We believe our team makes ESPA a great place to work, so we love going to work on a Monday morning! We are very grateful to the City of Bath college for recognizing our efforts and we look forward to collaborating with them in the future.’ Madeline and Colin Blackburn, Directors of ESPA UK. 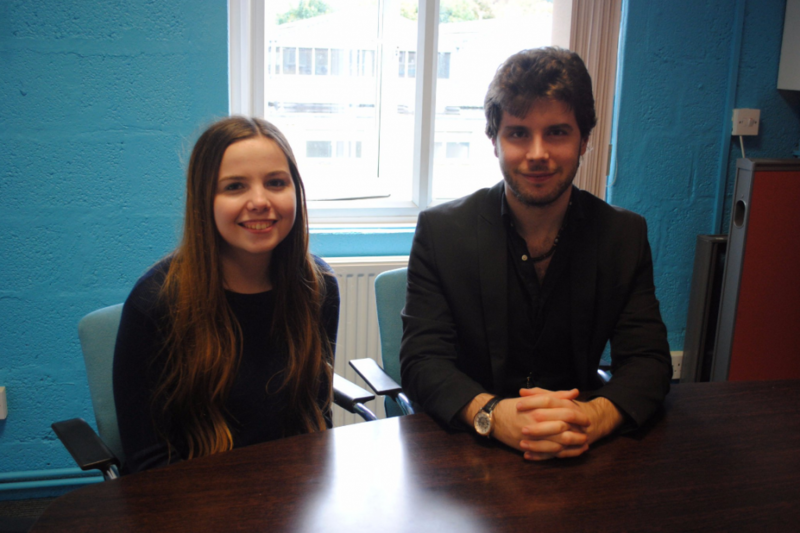 Our two apprentices, Lauren and Tom, have themselves been declared “Apprentices of the Month” last November by their college. Tom and Lauren are currently doing professional training in Austria and will become full time employees beginning of January 2017.